How to Keep Kids Active at Home During Summer! Summer is a beautiful time. You get to spend more time with your kids, maybe take a vacation and the weather’s great! 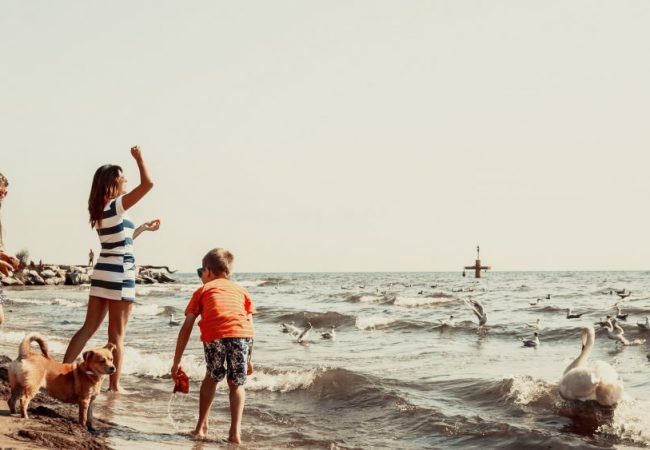 Of course, for some working parents, it’s not always possible to get time off from work for a vacation, leaving kids to spend a whole lot of time at home during summer. This is the part where parents start to worry about how their children are going to spend all this time off from school. It’s very easy for kids to get into the habit of lazing around all day just watching TV, playing computer games and fidgeting with cell phones. Therefore, it’s important to keep kids active and teach them responsibility from an early age. Depending on their age groups, summer activities vary. There are plenty of outdoor activities and summer programs to enrol your kids in for the summer, but today we’re talking about how you can keep your kids active at home. Read on for some interesting ideas that you and your kids can really benefit from! Kids love to make things. It gives them a sense of pride and accomplishment to create their very own little masterpiece. The internet is flooded with all kinds of do-it-yourself projects, big and small. While small projects like making a card for an upcoming birthday or decorating plant pots make great daily activities, try giving older kids bigger and more challenging projects. Even if it’s something that will take weeks to complete and requires your help, encourage your kids to do it. Some of these projects can include building a doghouse, redecorating a bedroom, painting the patio, etc. Whatever the project may be, focus on things that your kids are interested in and help them develop their skills in the same. Unlike days gone by when the only games we played were classics like monopoly and scrabble (although still loved), there are so many new and interesting family games to play that truly make game night a fun night! It’s also a great way to take kids away from screens and electronic gadgets for a while. Pick different games for certain nights to keep it fresh and exciting for the kids. Having a baking buddy is great, but it’s even better when that buddy is your child! Whether it’s cookies, brownies, cakes or cupcakes, your kids will love to get their hands messy and be a part of it. Particularly when you’re baking their favourite sweet treats, knowing that they helped to make them will leave them overjoyed and eager to taste! Cooking is a great activity to get your kids involved in from a young age. However, be sure to keep it age appropriate and always supervise when the heat is on or if there are any sharp objects around. For younger kids, make simple things like homemade burgers, pizzas (they can help with the toppings), breads and biscuits. When kids are off from school, it’s important to keep their creative and learning abilities flowing. Puzzle solving is a great way for kids to develop cognitive skills. You’ll find plenty of puzzle books in kids’ stores, including games that they can play amongst themselves or with their friends. Jigsaw puzzles are also a great hobby for the summer; they don’t offer as much learning benefits as other puzzle solving activities, but they definitely keep your kids busy and entertained. For older kids, consider big jigsaw puzzles like the 2000+ piece ones that they can work on for the next few weeks. It’s truly a delight to see when complete! Summer is also a great time to teach your kids to be more responsible at home. This means setting aside a time of day devoted to doing chores and helping you clean up the house. There are plenty of chores for kids to do, but again, make sure that they are age-appropriate. Make a weekly cleaning chart with a special reward every Sunday IF they stick to it. Whether it’s a new toy, an allowance, a day out to the movie or park of their choice; reward your kids for the effort and work they put in to keep the house tidy and clean. At Simply Maid, we are a kid-friendly team of working professionals in the cleaning business. If you’re looking for a home cleaning service that you can trust, rely on and one that always guarantees a thorough cleaning, we are Sydney’s best bet! Post-Vacation: 6 Things to Get Cracking on When You Come Home! Previous Post: Indoor Air Pollutants: Out with the Bad Air, In with the Good!